MMA in La Puente: The Florez Gym | MMA Fighting Events Videos Techniques UFC Fight Picks and News. If you're in the Los Angeles area, and you're interested in training in MMA (Mixed Martial Arts), check out the Florez Gym in La Puente. The Florez Gym is a full service MMA gym. 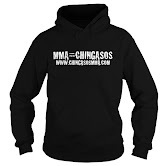 They have classes in Boxing, Muay Thai, Judo, Brazilian-Jiu-Jitsu and MMA. The Florez Gym also has open sparring Thursdays from 6:00 pm to 8:00 pm and Saturdays from 8:00 am to 10:00 am. Check out a video of one of their training/workout sessions we put together when we stopped by for a visit on a Saturday morning. Kru Alan Florez: Muay Thai Hall of Fame, 8 x champion in 4 weight classes and Pro Boxer. Kru Mark De La Cruz: Muay Thai Hall of Fame, 3 x Muay Thai Champion at Super Heavyweight. Sensei Derrick Martinez: Judo Black Belt, Purple Belt BJJ, trained in Sambo, background in Amateur Boxing and Kickboxing. Florez Gym also has 2 Muay Thai Champions, Raj Patel at Super Featherweight and Beto Rodriguez at Welterweight, as well as MMA Fighters Derrick Martinez, George Hernandez, and Alexis Bonilla.